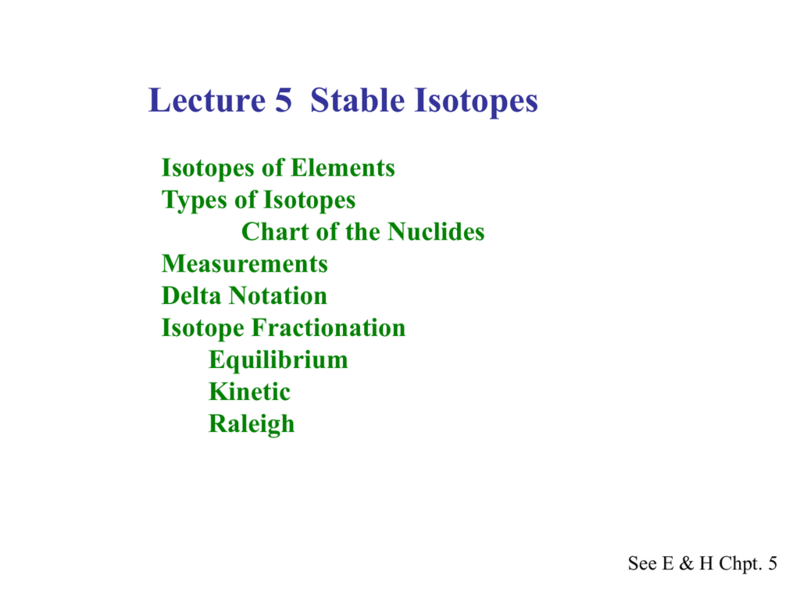 What are the types of isotopes? 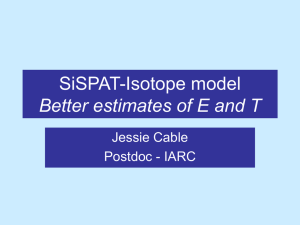 How do we measure isotopes? 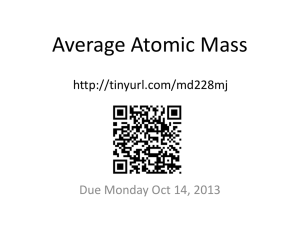 How do we express measurements of isotopes? 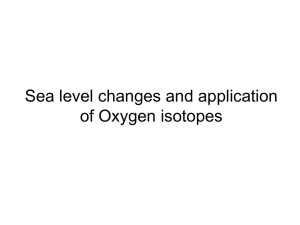 What is isotope fractionation and how do we express it? 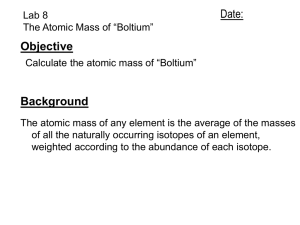 What is equilibrium isotope fractionation? What is kinetic isotope fractionation? 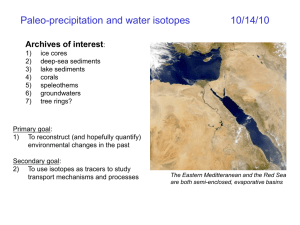 What are some applications of stable isotopes? 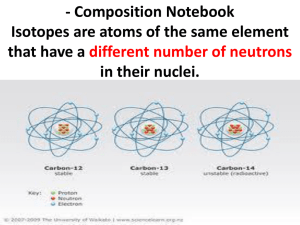 How many protons and neutrons in each of the C isotopes? 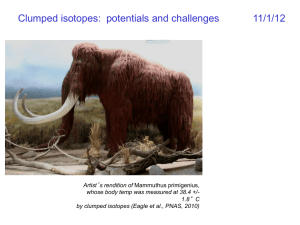 Where do Isotopes come from? 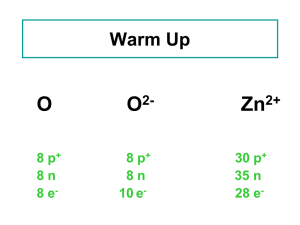 for elements 1 (Hydrogen) through 12 (Magnesium). - Why? The ratio can be measured very precisely. Your sample has an 13C/12C = 0.010957. What is δ13C in ‰ for the standard? What is ε and a of this reaction? Differences in vibrational energy is the source of the fractionation. Does the 18O “prefer” to be in the gas or liquid phase? Why? 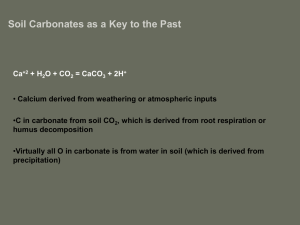 CO2(aq), aqueous bicarbonate HCO3- and carbonate CO32-. What is the final δ13C of HCO3- at 0ºC at 30ºC? Is 13C more stable as CO2(aq) or HCO3-? 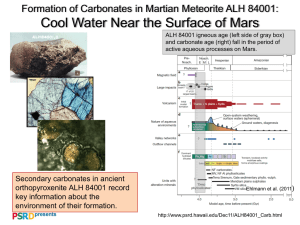 Is there more or less fractionation at higher temperatures? 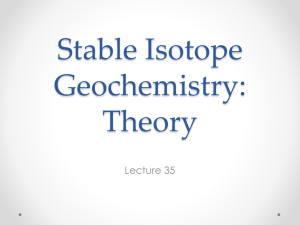 Why do heavier isotopes move more slowly? in water temperature where they grow. Does the 18O of water in the ocean change over time? slightly at the O2 minimum?